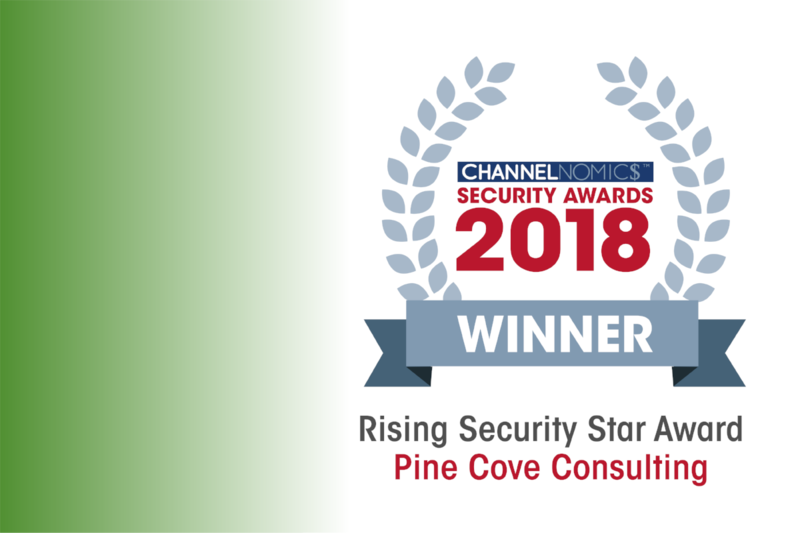 We are thrilled to announce that Pine Cove Consulting has been awarded the Rising Security Star award at the first Channelnomics Security Awards. As described by Channelnomics, "the Channelnomics Security Awards have been designed to recognize the trailblazers in the security industry - those players who are embracing the ever-changing face of the market and making it possible for the channel to forge ahead in this challenging landscape." 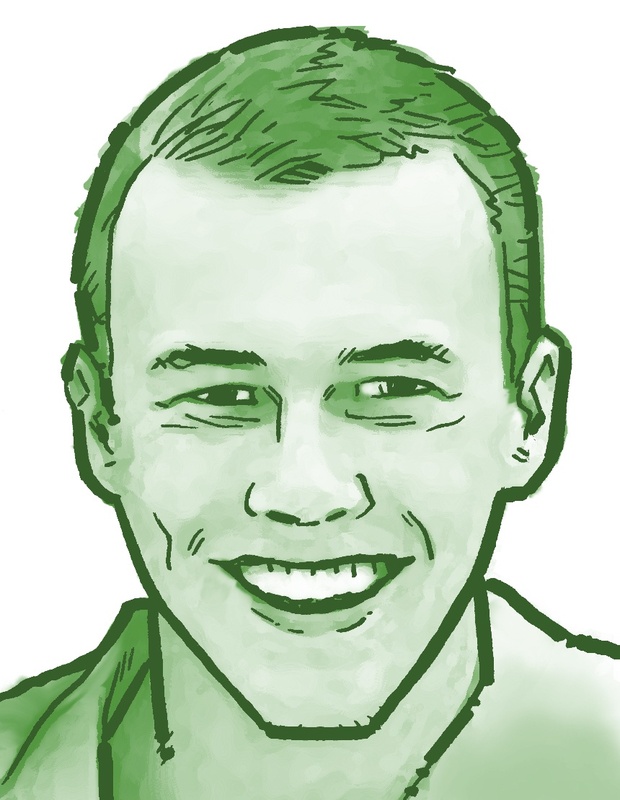 The 30 different awards given at the event are completely independent and based solely on innovation and achievement. As Pine Cove Consulting celebrates its 25-year anniversary, this award shows that Pine Cove continues to be on the cutting edge of innovative when it comes to its technology services and solutions. Our philosophy at Pine Cove is that every organization has either been been attacked, is currently being attacked or will be attacked by cyber criminals. To combat this threat, we provide organizations with the knowledge, the vision and the solutions to secure their assets at every possible entry point which is why we are so proud to receive the Rising Security Star award. Pine Cove knows the threats. Pine Cove’s synchronized security solution has secured our network and provided peace of mind in an increasingly dangerous world of cyber attacks." We hope this award will show that a small company based in Bozeman, Montana can lead the charge in the fight against cyber-crime. The award is evidence of the hard work the Pine Cove team has invested, and we hope it will open discussion to a larger audience about how we can work together to prevent cyber-crime in the future. Check out the Channelnomics website for more information on the awards ceremony. 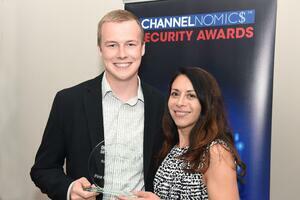 Pictured below: (Left) Marketing Director Jace Holyoak accepts Rising Security Star Award in New York. 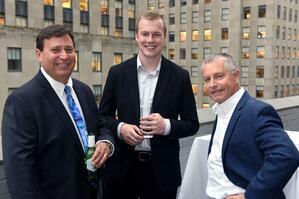 (Right) Jace networks with a Sophos representative and another Sophos partner. Click below to learn more about our cyber-security solutions or read more about our cyber-security solutions.